Oklahoma Connection | Bee came to Guthrie, Oklahoma, in December of 1907. In his 45 years with the Commission, Bee appeared in every important Oklahoma rate case or transportation investigation before either the Interstate Commerce Commission or the Congress of the United States. C. B. “Tobe” Bee was born and raised in Texas. He went to work in the law office of his stepfather, the Honorable Stilwell H. Russell, who died in Oklahoma in 1914 while a member of the Supreme Court of the State of Oklahoma. In the latter part of 1900, Bee went to Mexico because of poor health and eventually entered the services of the Mexican Central Railroad after a partial health recovery. In 1907, following Oklahoma Statehood, Chairman J. E. Love tendered the position of Special Counsel and Traffic Advisor of the Corporation Commission to Mr. Bee, conditioned upon his passing an examination before the Railroad Commissions of Texas, Illinois, and Wisconsin. By the end of 1907 he had become Acting Assistant General Freight Agent of that line. 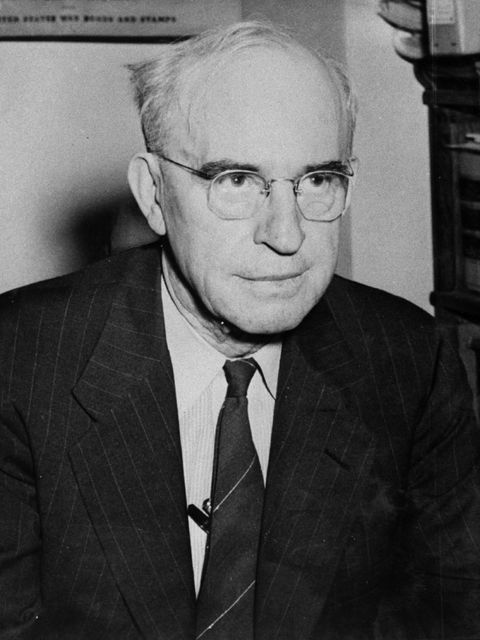 He became a member of the Oklahoma Corporation Commission as its principal rate counselor during a time when the inequality of freight rates was among Oklahoma’s most serious problems. His handling of important cases involving freight rates for Oklahoma, in many instances, played the deciding role in important industries being located in Oklahoma. In the spring of 1953 Bee was selected for induction into the Oklahoma Hall of Fame. Less than two months later, Bee died suddenly and became the first member of the Oklahoma Hall of Fame inducted posthumously. See pictures of C.B. Bee and other media HERE.